On a weekly basis on Wednesday and Sunday mornings, Mr. Gamini Priyantha, Meditation Instructor, conducts a 3-4 hour meditation session at Damrivi Foundation. 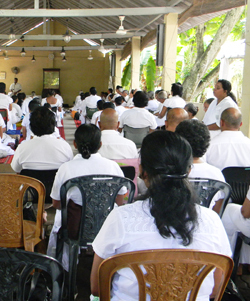 Damrivi organizes a retreat annually at the Nissaranavanaya forest monastery at Mithirigala. Upon an invitation received by Most Ven. Udaeeriyagama Dhammajeeva Nayaka Thero, Damrivi organised its first retreat at Nissaranavanaya from 25 February 2011 to 6 March 2011. Retreats for yogis commenced at Nissaranavanaya only in January 2011, and the retreat organized by Damrivi was the 2nd of those retreats conducted there. Since then, organizing a retreat has been an integral part of our annual calendar. The retreat is conducted under the guidance of the Most Ven. Udaeeriyagama Dhammajeeva Nayaka Thero. The retreat provides an opportunity to our community to participate under the guidance of the most Ven. Thero to practice and progress on the path of dhamma. The Most Ven. 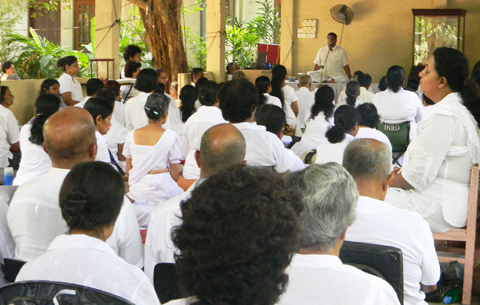 Thero conducted a half-day meditation session once a month, during the period July 2007 to 2015 at Damrivi Foundation. 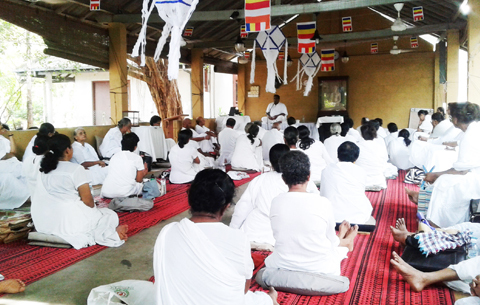 Damrivi Foundation in order to help those on their spiritual journey, organizes a full day “Seela-Bhavana” program on the day after Vesak Poya. 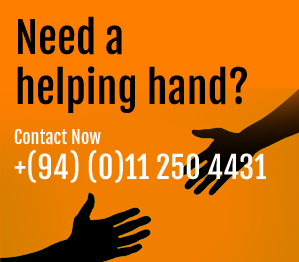 This program is not conducted on Vesak Poya day to enable our community to participate in the programs held by their temples. The day starts with observing “ata-sil” given by a priest associated with Damrivi. During the past, many a time, we have had the fortune of having Most Venerable Thrikunamale Ananda Mahanayaka Thero, Maha Nayaka of the Sri Amarapura Dharmarakshita Nikaya to administer “ata-sil” to the participants. Thereafter the day’s program focusing on meditation has been conducted by Mr. Gamini Priyantha, renowned meditation instructor. The day also includes a dhamma discussion done by Prof. Asanga Tillekeratne, Chairman of Damrivi Foundation and Mr. Gamini Priyantha. 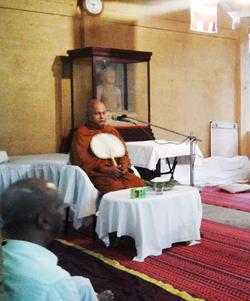 The program concludes with a dhamma sermon given by a renowned monk in Sri Lanka. During the past years, we’ve had Ven. Thallalle Chandakitthi Thero and Ven. 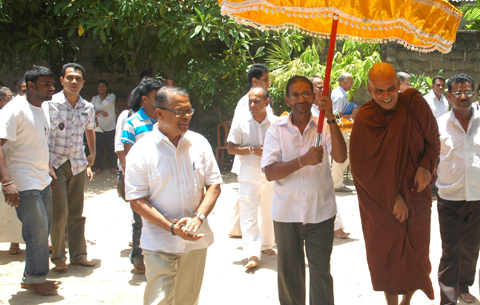 Meegoda Sukhitha Thero to do the “dhamma Desana”. 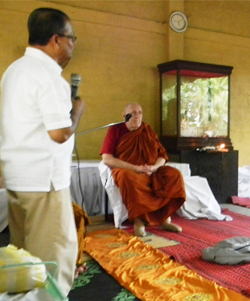 Dhamma talks, dhamma discussions, meditation programs, relic tours, etc., are organized by Damrivi Foundation. Also, for Vesak in May 2009, Maitreya Relic Tour was organized by Damrivi. It was a message of loving kindness, peace and harmony. The sacred relics of the Gauthama Buddha and his “Shravakas” (disciples) namely, Venerables Sariputta, Moggallana, Ananda, Kondanna, Rahula Theros and 500 Arahants, have been displayed worldwide since 2001. These relics were brought to Sri Lanka and displayed for the first time in a Theravada country.Sri Lanka was the 44th country it visited and the Maitreya Project placed much value on this tour of Sri Lanka due to our status in the Buddhist world. These relics have been collected by a Nepalese Master, Lama Zopa Rinpoche from Burma, Thailand, Taiwan and Indonesia. Most of the relics have been from Meiktila Relic Museum in Burma as its origin.